Imagine how it would to prank your best friend or nasty cousin by playing with its Android phone? Sound Good? Hm. Few days back, I was searching my phone settings and suddenly I found some cool hidden features in it. As I turned them on, I was shocked to see my phone appearance and performance. Later on I pranked some of my friends with this and they are also like "how did you do that?" Actually I am talking about Android developer options here. 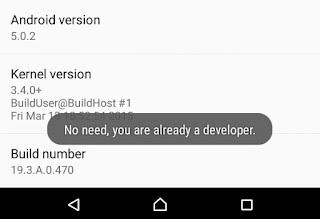 These settings are intended for developers use only and that's why they are hidden. Unnecessary changes can make your phone and its applications to break or misbehave. 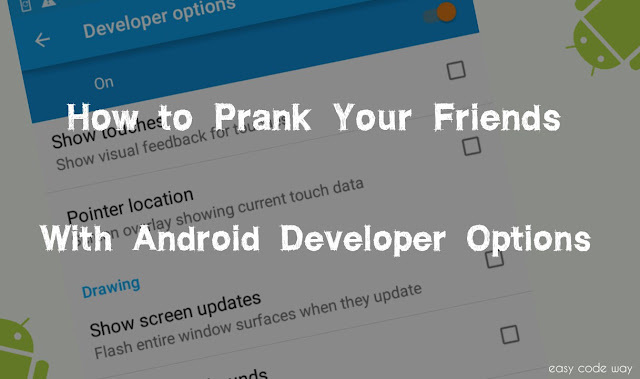 However, you can use some of its settings to execute a safe prank with your friends. This is what I am going to discuss today. Before moving to the main steps, first of all you've to turn on this feature on victims android device. Here you'll find "Build Number" option. Just click on it for more than 7 times simultaneously (click as fast as you can). In a small dialog box, it will display a countdown message and finally it will show that "You're now a developer!". 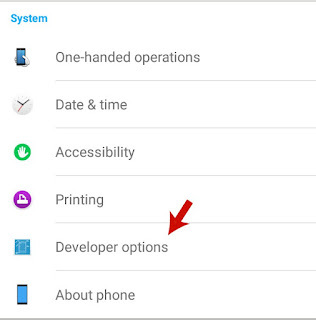 After above steps, a new feature named as "Developer options" will be added to the android settings. Go and check it now. Scroll down and open the newly added "Developer options". Now you've to enable few settings from here. All of them are listed below with their complete explanation. To enable them, simply tick mark the button next to each option. Show touches: This option will display a point where the actual touch is made on screen. Pointer location: This will show all touch moves along with the coordinate of last touched place. Show screen updates: This option will blink your phone screen with pink color whenever touch is made anywhere on screen. 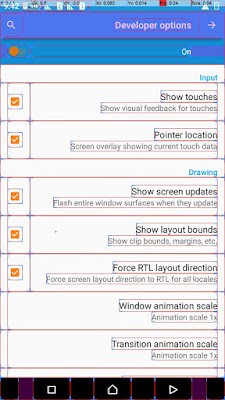 Show layout bounds: layout bounds will display all clip bounds, margins and other structuring of your phone screen. Force RTL layout direction: Basically all device's screen is aligned from left to right. This option will change all layout alignment to right to left. Change scale values: You'll find three animation scale under this which are window animation scale, transition animation scale and animator duration scale. They are made to change the transition time of various processes. For example, they can slow down the transition time when you open a new app window. Now if you'll change all these animation scales to 10x value then your phone will slow down and it looks like that it is hanged. After enabling all these features, close all app windows, hand over the phone to your friends or cousin and see their reactions. Below is the simple preview of screen and additionally, it slow down the phone performance and speed. I bet that your friend will be shocked to see this and he will call you for the solutions. So how did you find it? Isn't that cool? 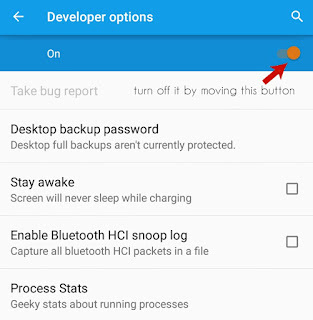 Now if you want to undo all these changes, then go back to the developer options in settings and move the ON button to turn it OFF (See below picture for help). It's the only way to get rid of this problem. Even restarting your phone will not do anything. Finally if you've any questions or doubts regarding this topic, please let me know in below comment box. Share your experience with us. Love and Blessings! Hi Arun! Its my pleasure that you find it helpful. Thanks for commenting and Yeah sure, I will share more interesting updates soon.